Anyone can get tripped up. Fall on their face, sometimes. Tripped up in my thought life, my words, or my actions. It can happen to anyone. For example: when I try to stay on the beam in any particular behavior or activity, I often need help from my friends. If I end up isolated or alone, that is not a good scenario for me. Thank God I have friends and family who can rally around. I realize some people don’t have many healthy relationships. However, God can assist, and bring certain people into our lives to remedy those kinds of lacks and losses. And, we can end up with families of choice. Good friends, too. Dear Lord, thank You for Your gift of relationships. Build up our relationships with our significant others; our families, our friends, our spouses. Draw me close to those people I love. You have promised to deliver us from the evils in this world—those things that are physical, emotional, psychological, or spiritual evils. 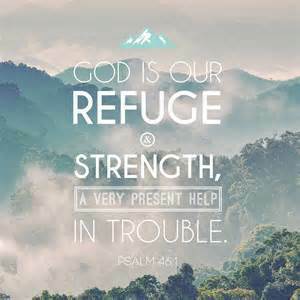 Protect me with Your power, and remain a refuge for me to run to when I am isolated, filled with anxiety, or bedeviled. Gracious God, You are my stronghold. You can help all of us avoid harm, distress, temptation and evil. You are faithful, and for that I am so grateful. Thankful. Thank You, God.